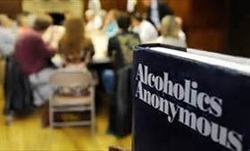 Alcoholic Anonymous (Westside group) meets every Tuesday and Friday at 8 pm in Aiken Bennett Classroom. The Hazlehurst Group of AA meet Monday & Wednesday @ 8 pm at 75 Alma Rd at the Serenity Club house. Narcotics Anonymous also meet there Friday noon and Saturday 6 pm. For more information contact Beth Baggett Harati at 678 525-7526.